This widget solves the problem all Sonos users have: to control a list of all your zones from your notification screen without the need to unlock your iPhone or launch the Sonos app. SonoControls gives you Sonos volume and track controls for ALL your zones, as a widget on your Today Notification screen. This widget is accessible on your WiFi network, even when your Sonos is not playing! Great to come home and start your music, without the need to unlock your iPhone or launch the Sonos app. Just swipe and control your Sonos system. 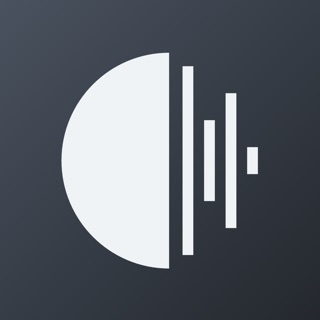 • SonoControls is an independent and unofficial app, and is not affiliated with Sonos in any way. • Designed and built by somebody who uses his own Sonos system daily! • Some Sonos network configurations do need manual IP address configuration, which is quite easily done in the App, tab settings. Need setup support? Contact me on sonocontrols@devmobile.nl for personal support. Thank you! • A bug was fixed where Sonos setups were not correctly detected. • Album artwork is now correctly displayed when using Spotify Connect. • The widget now uses the collapse / expand feature. In previous versions of the SonoControls widget, the widget was always expanded and could not be collapsed. • As a result of using the collapsed widget feature, the layout of the widget has been changed a bit, so the widget fits in a logical way in this space. • The "small" size setting has been redesigned. • Support for all the new iPhone and iPad screen sizes. Jammer dat het niet bij je werkt, op iOS 10 is het ook werkend getest, probeer deze setup video: https://devmobile.nl/sonocontrols/video . Zou je een een mailtje willen sturen naar feedback@devmobile.nl? Dan kunnen we kijken of we het werkend kunnen krijgen.